Following a two-match stadium ban for racist chants towards Napoli defender Kalidou Koulibaly, the Inter ultras Curva Nord were allowed back into San Siro for their club’s match against Bologna. Along the supporters’ return came a strongly-worded statement in a fanzine distributed before the match. 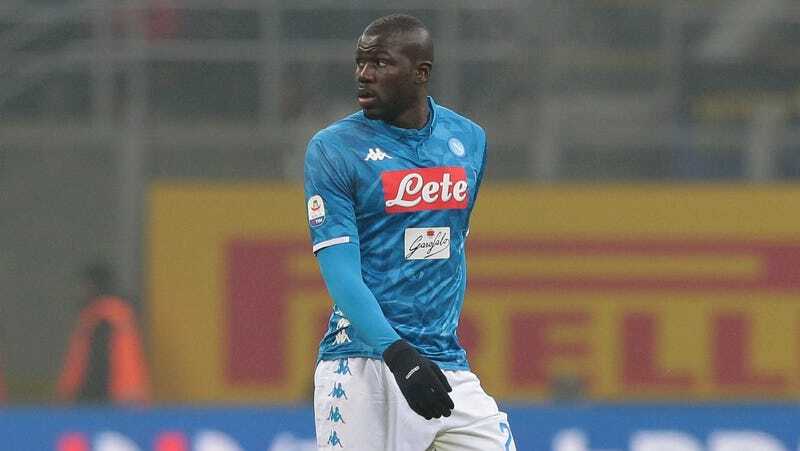 In it, they criticized the club for allowing the ban to happen, lamented the fact that people had lost money on tickets that were purchased before the ban was announced, and attacked the man these fans believe is to blame for the punishment: Koulibaly. Ignoring the fact that staking claim in the colorblind argument—which is what the first sentence of the statement should amount to—is a bad way to begin any anti-racist remark, the obvious takeaway here is that the fans saw nothing wrong with what they were accused of and that they will likely do this again. In the infamous December match, Koulibaly was reportedly subjected to monkey chants and it’s pretty safe to assume that those taunts wouldn’t have been thrown at a non-black player. No amount of black players on the team erases that likelihood. The argument only gets worse with the suggestion that even “yellow or blue” people would have received those taunts because there are no yellow or blue people. The act of citing colors of skin that don’t exist is a thinly-veiled attempt that racists tend to use to hide their racist actions.